When launching a new project, it’s good to get email addresses of users who are interested to enable you to keep them updated on the progress and eventually start letting some test it out and give you feedback. It’s easy enough to design and code an email submit form, but why work harder than you need to? There are a number of websites out there that will help you do this, my favorite is LaunchRock. 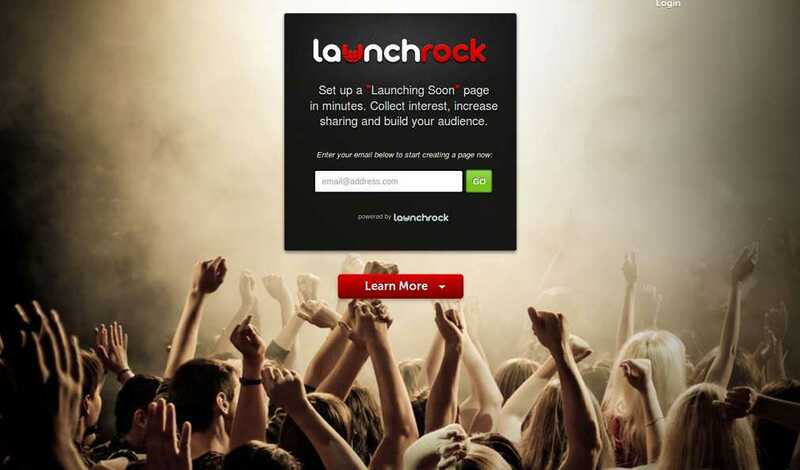 LaunchRock has everything covered; it’s free, easy setup, social media sharing, and email management. After you have created your free account you’ll be presented with the option of choosing a Landing Page or an Embedded Widget and then 6 awesome themes that you can customize to fit the look of your project. 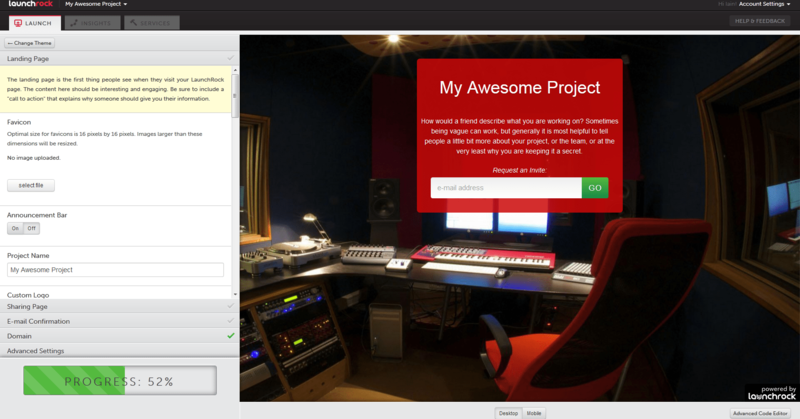 Set your Project Name, Tagline, Description, Background Image, etc. Now you’re ready to launch your page so hit the big green “Launch Site” button! Remember: When configuring your Sharing Page enter an incentive that makes your users want to share, and only enable sharing for the social networks in which your target audience frequents. Having too many options can lead to your visitors being overwhelmed. Your landing page is up and running and collecting email addresses. 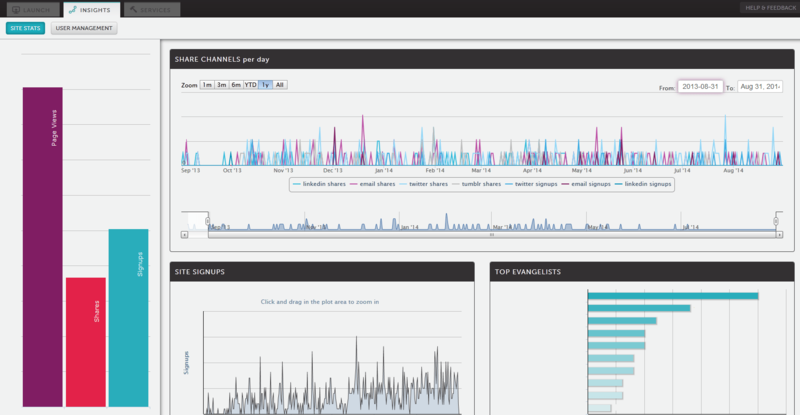 Switch over to the Insights tab (pictured above) and you’ll see lovely charts of how your page is being shared and performing. Click the User Management button, from here you can export the email addresses into a CSV file and import them into your favorite ESP, I highly recommend MailChimp. When you have your email address list imported remember to keep in contact with them. They submitted their email address and confirmed; they want to hear from you! 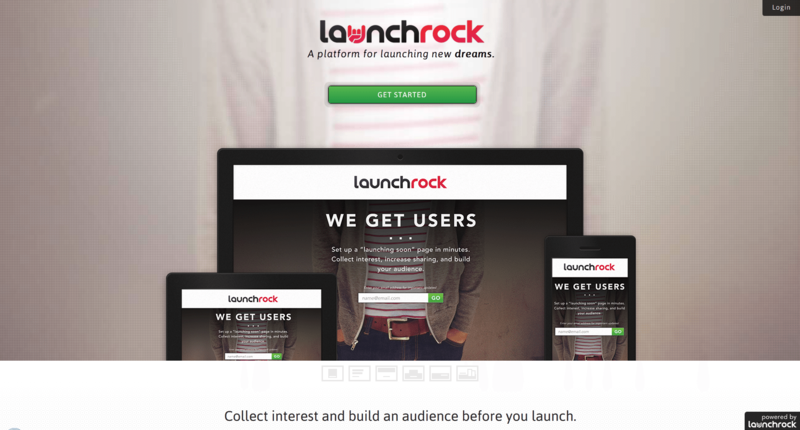 Did you try LaunchRock or the other options? Do you know of one we haven’t mentioned? Let us know which is your favorite! Every where we turn we run into a distraction. Our precious time shouldn’t be wasted with these simple distractions such as having too many options on note taking, having temptation to browse the web, or just being unorganized, and letting time slip by without a way to track it. These 9 must-have productivity apps will help you to get on track to efficiently use and track your time.